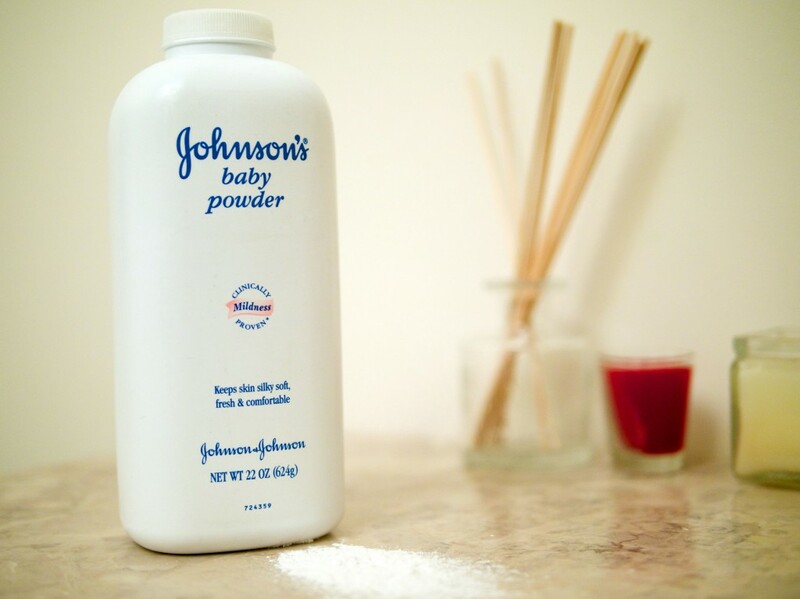 Over two-thousand lawsuits are currently pending in state and federal court alleging that Johnson & Johnson failed to warn women about the potential cancer risks associated with its popular talc-based baby powder product. Around 5,000 women claim that they developed ovarian cancer from using the Johnson & Johnson powder containing talc. Talcum powder is made from the mineral, talc, which is mostly made up of three elements magnesium, silicon, hydrogen, and oxygen. In its natural form, some talc can contain asbestos, a known cancer-causing agent. As a result, the United States has ensured since the 1970s that all talcum products used in consumer products are asbestos-free. The American Cancer Society has talc containing asbestos listed as a carcinogen. However, the studies regarding the asbestos-free talc contained in the Johnson & Johnson baby powder and other consumer products remains inconclusive. The American Cancer Society urges consumers that are concerned about talcum powder to avoid or limit their use of consumer products that contain it. Talc has numerous uses in cosmetics, such as antiperspirant, soap, and face makeup; in food, such as chewing gum, candy, rice, and olive oil; and in the manufacturing of pharmaceutical tablets. For example, it may be used to absorb moisture, to make facial makeup opaque, to polish the grains of white rice, to prevent candy from sticking to the wrapper, to coat pharmaceutical tablets, and to prevent the tablets from caking. Johnson & Johnson adds talcum powder to its baby powder product because it is great for absorbing moisture and it helps reduce friction. Thus, the talcum powder allows the skin to stay dry and helps to prevent rashes. In the last few months, Johnson & Johnson has had some big wins regarding its ongoing talc litigation. On October 20, 2017, Los Angeles Superior Court Judge, Maren Nelson, dismissed a $472 million verdict against Johnson & Johnson and its subsidiary, after she concluded that plaintiff, Eva Echeverria, failed to adequately establish that talc causes ovarian cancer. Echeverria’s lawyer presented jurors with internal documents proving that Johnson & Johnson has been aware for decades about talc’s side effects. Her treating physician even testified that talc probably causes ovarian cancer and that it specifically caused Echeverria’s ovarian cancer. Nonetheless, Judge Nelson, found that at best, Echeverria proved there’s “an ongoing debate in the scientific and medical community about whether talc more probably than not causes ovarian cancer and thus (gives) rise to a duty to warn.” Judge Nelson also held that Echeverria could not hold Johnson & Johnson responsible for the decisions of its subsidiary that has manufactured and distributed the baby powder since 1967 because the evidence did not show that Johnson & Johnson kept responsibility for the powder. Although this is an extremely disappointing outcome for Echeverria’s family, it is a big win for Johnson & Johnson. Judge Nelson is overseeing the 800 suits brought by women in California alleging that Johnson & Johnson’s powder caused their ovarian cancer. Thus, these plaintiffs must bring stronger evidence than that provided by Echeverria or hope for a development in scientific studies, or else their case is likely doomed. In Johnson & Johnson’s second big win, the Eastern District of the Missouri Court of Appeals reversed a $72 million verdict. The court ruled that the case over the death of Alabama resident, Jacqueline Fox, should not have been tried in St. Louis since only 2 of the 65 plaintiffs were from Missouri. In making its decision, the court took into consideration the recent U.S. Supreme Court decision, Bristol-Myers Squibb Co. v. Superior Court of California, which limited where personal injury lawsuits could be filed. Particularly, the decision found that state courts could not hear personal injury claims by non-residents who were not injured in that state or if the defendant company was not based in that state. Johnson & Johnson’s primary office and principal place of business are in New Jersey. Therefore, for the best chance of success, plaintiffs should file suit in New Jersey, or in the state in which they were injured. This is great news for Johnson & Johnson because one-fifth of the plaintiffs have cases pending in state court in St. Louis, which involve mostly non-resident plaintiffs. Plaintiffs’ lawyer, Ted Meadows, said he would continue to argue the St. Louis court had jurisdiction because of a Missouri-based bottler that Johnson & Johnson uses to package its talc products. Nevertheless, the reversal of the $72 million verdict and the dismissal of the $472 million verdict are huge wins for Johnson & Johnson, who will continue to face thousands of more lawsuits. For now, plaintiffs and their attorneys are left with a lot to “talc” about.